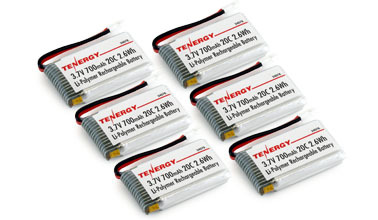 This 3.7V 700mAh LiPO battery is a replacement battery. It will give more PUNCH and ROBUST performance due to its higher current output and power. Direct replacement battery for Syma X5, X5C, X5SC, X5SW and Cheerson CX-30W, no modification is needed. Direct replacement, no modification needed!